Within the world of fans, there is a sub-group that I term Specialty Fans. 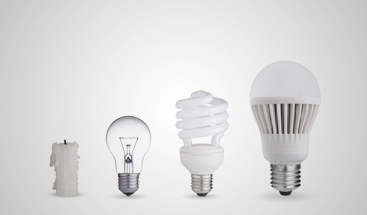 These fans can be used to pen up a world of additional solutions and possibilities for a wide variety of residential and light commercial spaces. The following outlines reasons to consider specialty fans and then examples of the some of the best choices from this category. The Mathew Kaye fan is a great choice for taller ceilings or for installation on a wall. The fan can be used in both applications and comes with its own wall control. It requires a 3 wire plus ground and the control allows 3 fan speeds and separately the ability to control on and off the oscillating feature. 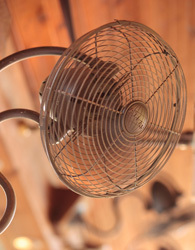 Note the fan has a set angle so it is more difficult to use on shorter ceilings, since the fan is set to blow downward. In those instance, mounting on a wall is a better choice. 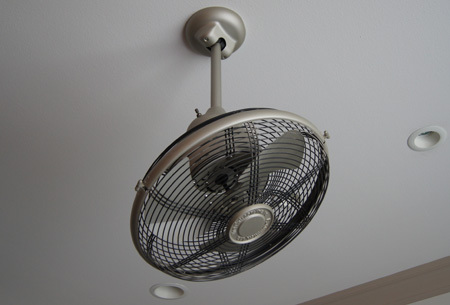 This fan is great for opening up the ceiling for a chandelier or keeping the ceiling clean and open. The Fanimation OF110 fan is a great choice for ceiling use when you have a need for a small footprint or in cases where you have active activities that may cause objects to be throw into traditional fan blades (such as young boys rooms). This fans are very tight, have a protective cage, and can blow air well. They also work well in applications of peak ceilings or taller ceilings to be placed on both sides of a chandelier to allow air movement while allowing the decorative aspect of the chandelier to remain. This fan is sleek and clean, with a modern twist. For jobs where a different look is desired or where protective cage covers are needed, consider the Craftmade or Minka Air versions. 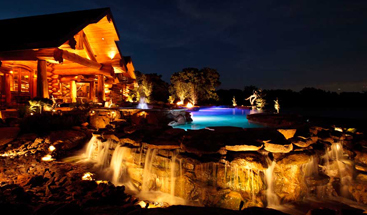 Both have different looks, come in multiple finishes, are damp rated and are very popular. These fans offer a larger footprint and move air differently than a traditional ceiling fan. 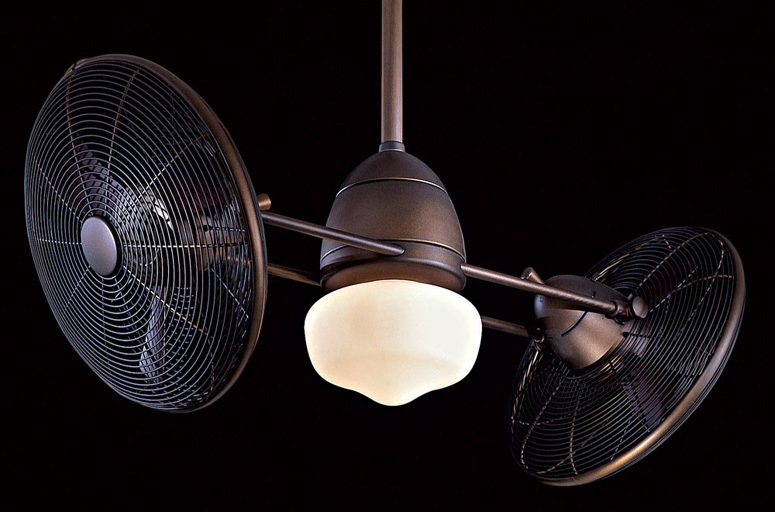 These and other fans offer many design options for allowing air movement without using the traditional bladed ceiling fan. 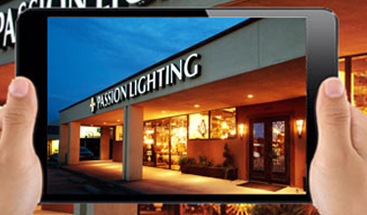 For more ideas and information, stop by Passion Lighting and look at other options and get the details needed for your project. And in-store savings are always better than online pricing, regardless of which site you visit.